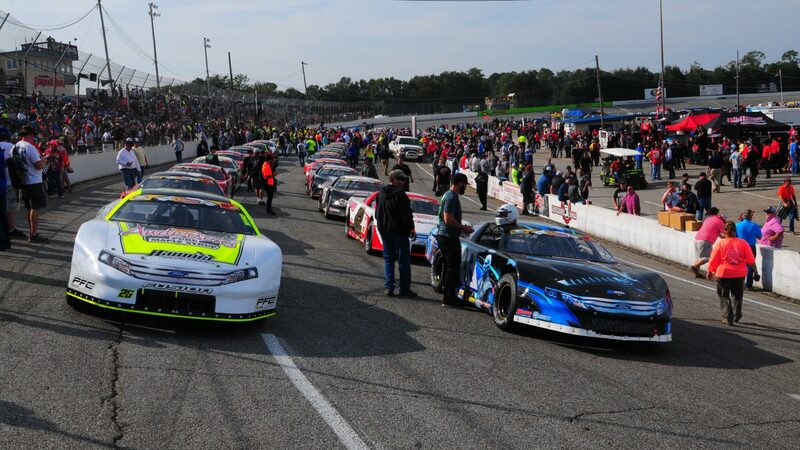 Racing season’s unofficial start – Welcome to Late Model Digest! Hello again, and Happy New Year again! Late January brought the first major events of the pavement Late Model racing season: CRA SpeedFest in Cordele GA (co-headlined by the pictured Pro Late Model battle between #18 Casey Roderick and #71 Dawson Fletcher) and the Chilly Willy 150 weekend in Tucson AZ. Then the first weekend of February contained the SRL Winter Showdown in Bakersfield CA and the Icebreaker at Myrtle Beach SC. Of course there’s always action in the Sunshine State, where they really don’t know the meaning of an off-season. The first 2019 issue of LMD meant a few pages worth of bonus stories and items, where we tried to give some racers across North America some extra coverage even though they didn’t win races in 2018, plus our annual track listing with any available scheduling and other pertinent information at a glance. But even though we enjoy doing them and they’re an integral part of our off-season, they could be construed as filler stories because there isn’t much going on. Beginning with the next issue, to be completed this Thursday, the majority of the pages will be filled with the type of coverage you’re used to seeing in LMD, plus some short features to accompany much of this coverage. It’s what LMD has been doing since 1989, what I’ve been doing since 2000, and what has been in a digital page-flipping format since last summer. We’ll still have the regular features such as Catchin’ Up, Meet, Checkered Flag and occasionally a Sponsor Spotlight, but the bulk of the articles will be focused on what’s happening, how it happened and more about the people making it happen. Thanks for your continued support. Have an enjoyable and safe season!